Product prices and availability are accurate as of 2019-04-21 22:42:49 UTC and are subject to change. Any price and availability information displayed on http://www.amazon.com/ at the time of purchase will apply to the purchase of this product. 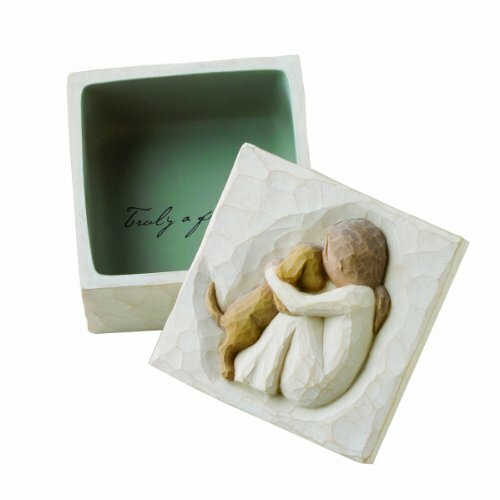 The Willow Tree True Keepsake Box is a gorgeously hand-painted keepsake box featuring a warm and loving embrace between a guardian and their furry companion. With a charming message inside, this is truly a wonderful memorial box. Keepsake Boxes are small, sweet places to keep treasures. Hand-painted bas-relief lids are not attached. Inside, the bottom of each box reveals a message of love and friendship as a hidden discovery. A gift of Willow Tree communicates beyond words. Sentiment written inside box: "Truly a friend". Enclosure card included in box for gift-giving. 3"square x 2"h hand-painted resin box with bas-relief carving on lid. Lid is not attached. Dust with soft cloth or soft brush. Avoid water or cleaning solvents. Artist Susan Lordi hand carves the original of each Willow Tree piece from her studio in Kansas City, MO. This piece is cast from Susan's original carving and painted by hand. 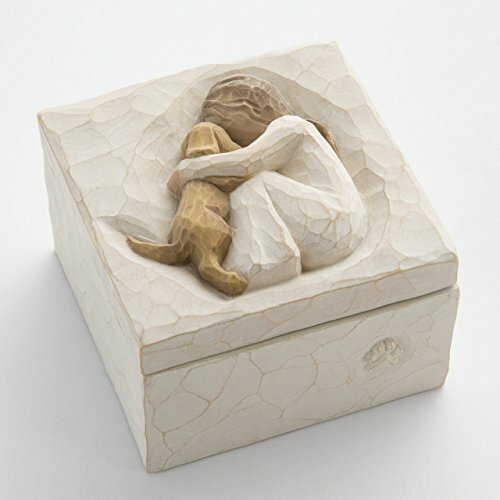 Willow Tree is an intimate line of figurative sculptures that speak in quiet ways to heal, comfort, protect and inspire. Sculptures communicate through gesture... to represent an emotion or mark a memory. Since 1999, Susan Lordi has worked in partnership with DEMDACO to produce, market and distribute Willow Tree, her line of carved, figurative sculptures.